Knowledge is our past, but there is no future without research and innovations. We believe that innovation and research are the key for the tomorrow. 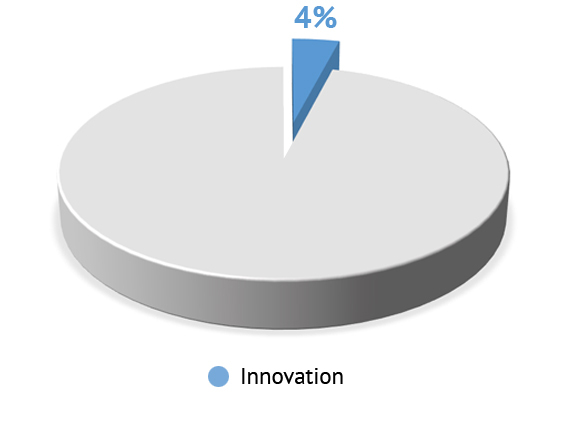 Every year we invest more than the 4% of our turnover for innovation in order to maintain a continuous improvement and development of new projects, processes and solutions. We have established and we will continue to look for partnership with important institutions in order to be part of the development of the world and to find solutions that can improve the lives of the people in the everyday life. This is why we continue to invest and we feel the urge to confirm our choice year after year.